This week was very stressful for me and I had a long day yesterday. So, when I got home and Mike handed me a package from Canada Post it not only put me in a good mood but it also brightened my week! Thanks to Eri @ It all tastes Greek to me I received a dozen delicious cookies. As soon as I opened the box, my kitchen smelled amazing – I can’t tell you too much about the cookies because all the Cookie Exchangers will be blogging their recipes on December 12 (so check back then and I’ll link to Eri’s recipe). But, I just wanted to send out a big thank you for kicking off the holiday season with a great start! Oh my Gosh Sarah, thank you so much, you are so kind! I know that it must have been a challenge with the whole glove on the side and the sticky – chewy honey but this is the traditional way of making them. I’m so glad that you liked them and thank you so much for this post! 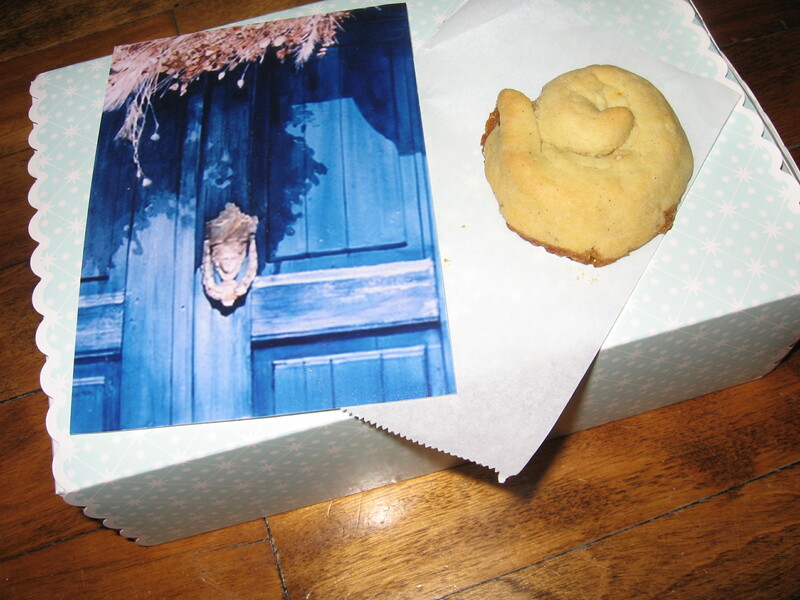 I also got some yummy cookies from Eri – they were fabulous and didn’t last long!